Keepin’ iT ReaL: Alex Gray | .keepitight. 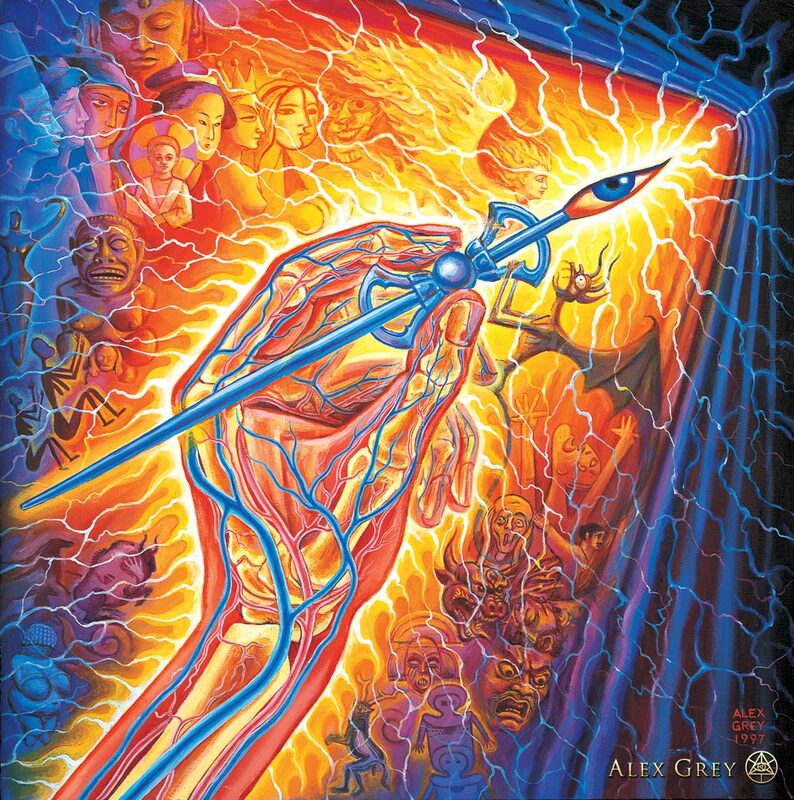 One of my absolute favorite artists of.aLL.TiME., who was also named one of the most spiritually influential artists of the century, is the one and only Alex Grey. 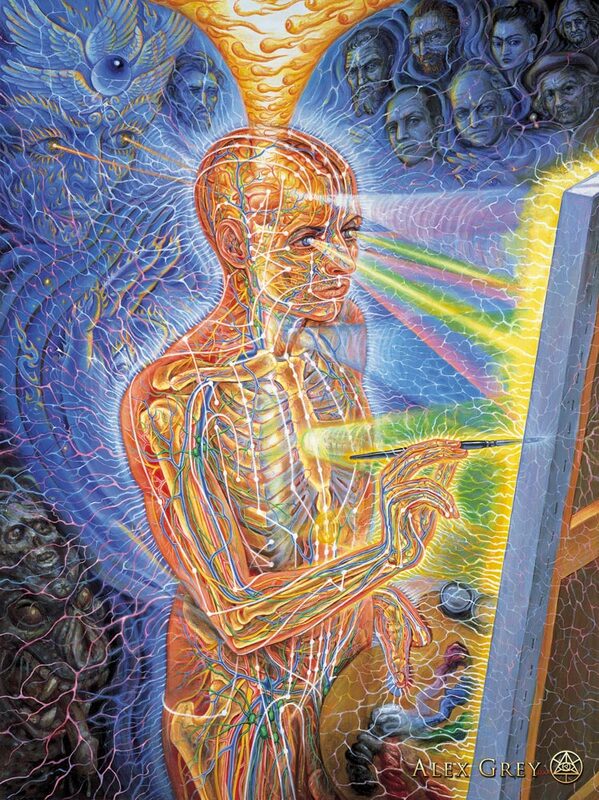 His paintings are so in-depth (and when I say depth I’m talkin’ x-ray vision + dimensions you can’t even see) intricate and real that even his paintings subjects are anatomically correct down to the nerve-endings. 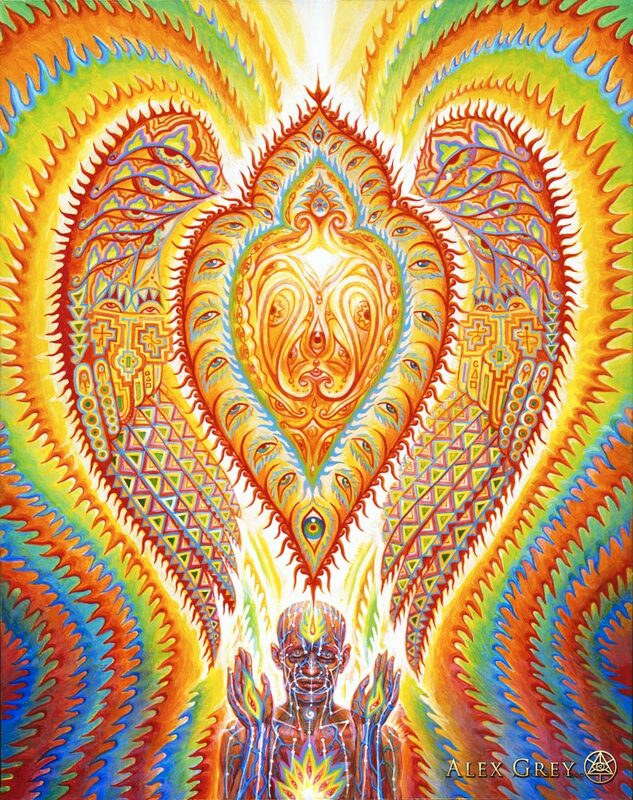 His work blows my mind everytime. 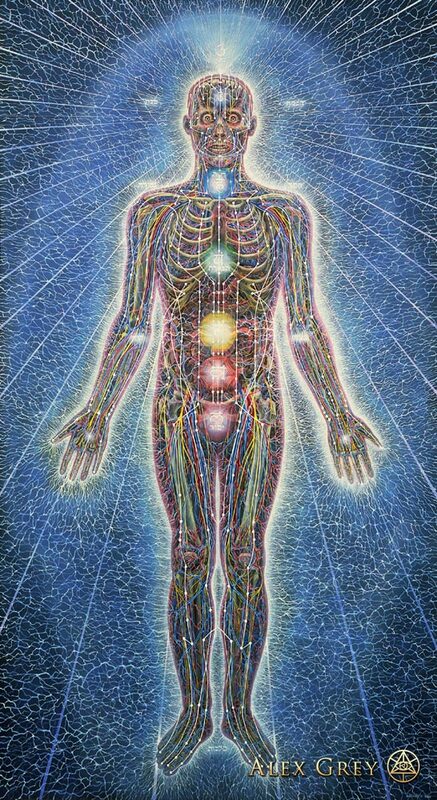 HIs messages operate on the most intimate/mental/spiritual level. 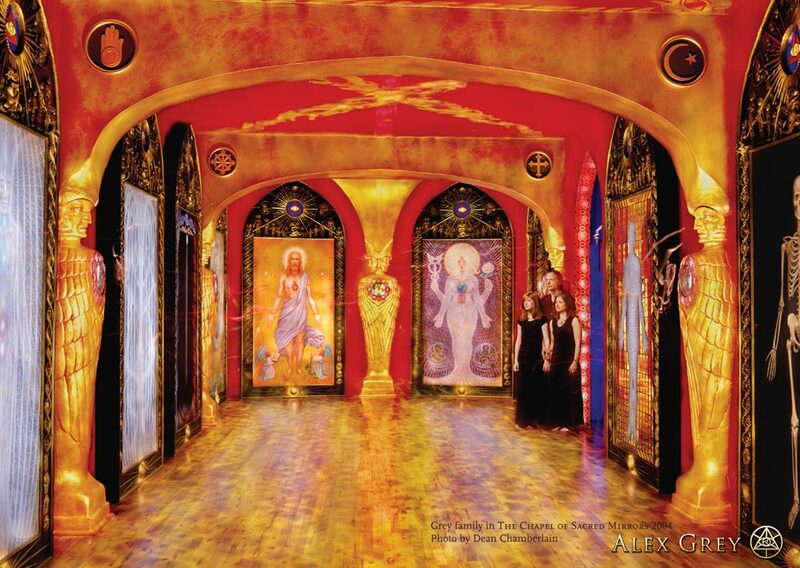 His wife’s work is just as awe-inspiring as well, peep this amazing place they created together called the Chapel of Sacred Mirrors. 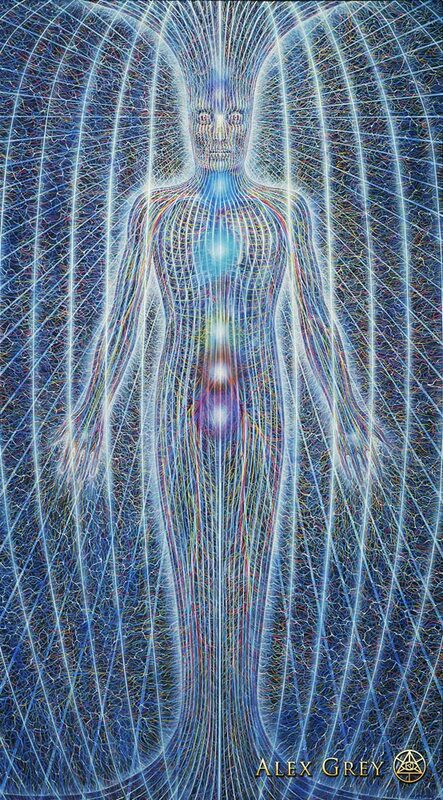 It is supposed to be a wonder to behold in every sense – physically, mentality, and of course, spiritually. A visit here is on my list of To-Dos on my next trip to NY! I saw an awesome documentary on Netflix a while back that takes you through this chapel and it is serious sensory euphoria. 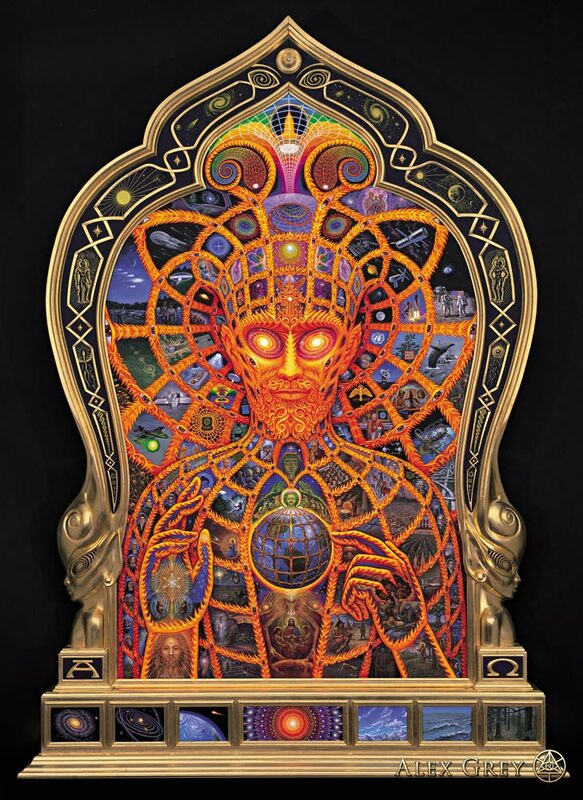 Watch the short documentary “Chapel of Sacred Mirrors” right here. Read an sweet interview with Alex Gray on Mavericks of the Mind and try to get on his level even further!